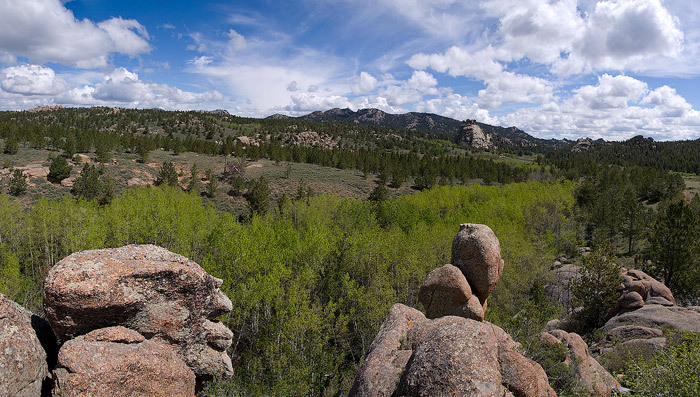 This remarkable series of rock formations, bearing an uncanny resemblance to a "rock family," appears to enjoy a beautiful summer day in the Vedauwoo wilderness. Field Notes: Sony a100 camera, Tamron 17-50 2.8 lens, stitched digital composite of 5 vertical images. Photo © copyright by Brett Deacon.